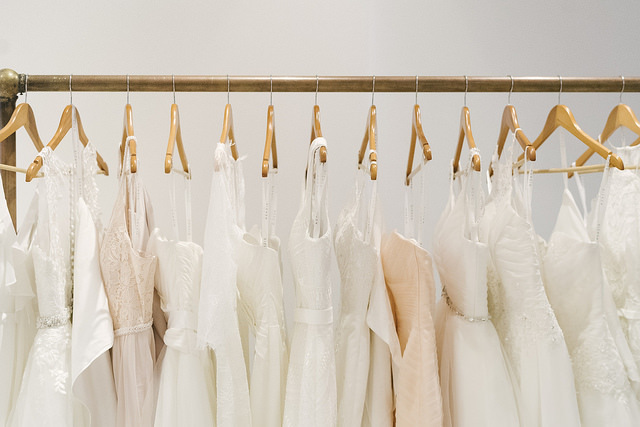 It’s a time for new beginnings ✨ If squaring away your bridal attire is your New Year’s resolution, we’ve got you covered with our upcoming sample sale. This upcoming Sunday, January 6 + Monday, January 7 we’ll be offering buy 2 samples, get one free on all of our gowns. That includes bridesmaid and bridal gowns! So mark your calendars, grab your friends and don’t forget to check out our tips for hosting the ultimate try-on party. Want to stay in the loop for upcoming discounts and promotions? Be sure to follow us on Instagram or enter your email in the box below to receive our newsletters. It’s the most wonderful time of the year… for a sale! Know a newly-engaged bride or looking to fall in love all over again with the perfect dress? Take advantage of our bridal sale this Sunday, December 16 through Tuesday, December 18 and save big for the big day! Looking for your dream dress? Found the one and ready to purchase? And if you’re deciding on which styles to try, you’re in luck! We recently had four of our bridal gowns featured on KTLA morning news. 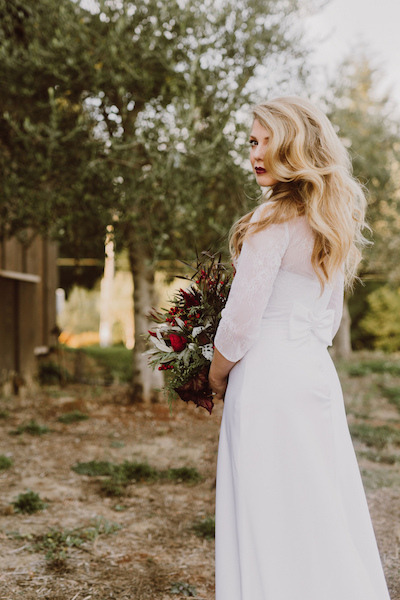 Click here to watch them modeled, and don’t forget to follow us on Instagram to see real Azazie brides! It’s been a BIG year for us here at Azazie. 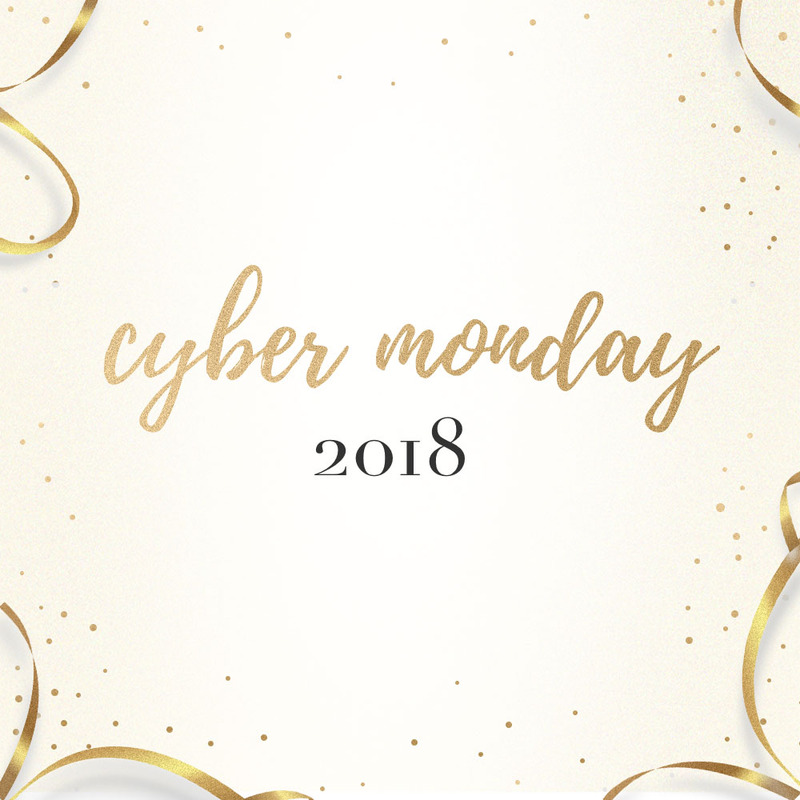 In 2018, we introduced over 200 new styles, launched our Gentleman’s Collection, celebrated our fourth birthday and we offered our biggest discount ever during our Cyber Monday sale! We also gained over 20,000 new fans on our Instagram page. 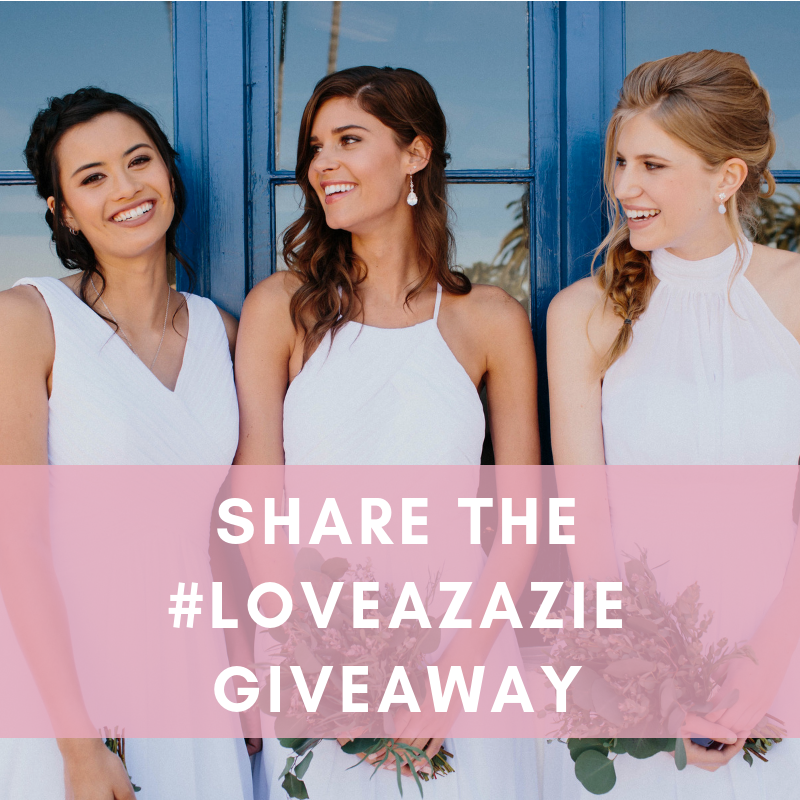 So to thank all of our amazing customers for sharing their countless reviews and gorgeous wedding day photos, we’ll be giving back to you this holiday season with our #LoveAzazie giveaway! Starting this Monday, December 10, we’ll be giving away prizes every day of the week on our Instagram page. Each prize has a common theme -- share the love! Make sure you’re following our page all next week for a chance to win. And of course, a big year calls for a big prize...we’ll be giving away our biggest prize on Instagram ever next week, so don’t miss out! Get your cart ready! Our biggest sale of the year… no, EVER… is coming! This Monday, November 26, U.S. and Canada customers can take advantage of 15% off everything on our site. The 15% discount does not include shipping and taxes. As hard as we're trying to make sure our production times stay the same, we really can't guess how many orders we'll actually have. Since everything is made-to-order, we do need time to craft every piece before it can be shipped. If we get too many orders, we may have to increase our production time up to 12 weeks at the most. Please plan accordingly so you and your bridesmaids can be prepared if your estimated delivery window is further out than you expected. The promotion will ONLY be valid for orders placed and paid for on Monday, November 26th during the hours of 9am-11:59PM PST. Promotion will not be valid for any order placed and/or paid for after sale hours (9am-11:59pm PST, 11/26/2018). Our wonderful customer service team will be working extended hours and will be available through the duration of the sale should you have any questions. Want to be the first to know about future discounts? Be sure to sign up for the newsletter at the bottom of this page or follow us on Instagram and Facebook. Four years ago, frustrated with the high markups of the wedding attire giants that rule the bridal industry, our founder and CEO started Azazie to cut out the middlemen and help people shop for affordable, high-quality gowns for one of the biggest days of their lives. Since then, we’ve been committed to providing custom gowns for every budget and body type. Knowing how stressful wedding planning can be, we created our sample try-on program to help brides and their leading ladies (wherever they may be) find “the one” -- all from the comfort of their homes. To thank all of our loyal customers and soon-to-be brides, we’re holding a sample sale to celebrate the big 4! This Sunday and Monday (November 4th and 5th) we’re offering a 3-for-the-price-of-2 deal across ALL of our sample styles. Sample size quantities are limited, so be sure to take advantage of this great deal early. Use code BDAY to get these savings! Want to stay in the loop for great Azazie deals and discounts? Be sure to sign up for our newsletter at the bottom of this page!